Marco Frusteri and Maxime St-Jules will be competing against the word’s fastest racers in Monterrey, Mexico, at the Pan American Championships from November 21st to the 25th. Carolina Upegui will be coaching the team and Leonardo Frusteri is helping to manage and support their efforts. This event serves as qualifying competition for Nations to access the upcoming 2019 Lima Pan American Games. Up for grabs at these Pan American Championships are 18 spots for men and 18 for women, with the host nation already having been allocated two spots for men and two for women. Each Nation can qualify up to a maximum of two spots for men and two spots for women. Since no Canadian women are competing at these Pan American Championships, Canada will not be qualified to field women at the 2019 Lima Pan American Games. Marco Frusteri et Maxime St-Jules vont courser contre les patineurs les plus rapides du monde à Monterrey, au Mexique, aux Championnats Pan Américains du 21 au 25 novembre. Carolina Upegui entraînera l’équipe et Leonardo Frusteri les aidera à gérer et à soutenir leurs efforts. Cet événement est la compétition de de qualification permettant aux nations d’accéder les Jeux Pan Américains de Lima de 2019. Lors de ces Championnats Pan Américains, il y a disponible 18 places pour les hommes et 18 pour les femmes, avec le pays hôte ayant déjà obtenu deux places pour les hommes et deux pour les femmes. Chaque pays peut obtenir un maximum de deux places pour les hommes et de deux places pour les femmes. Comme aucune femme canadienne ne participe à ces Championnats Pan Américains, le Canada ne sera pas éligible pour qualifier et envoyer des femmes aux Jeux Pan Américains de Lima 2019. Please join RSC’s Speed Committee in extending our best to Quebec’s due of Olivier Jean-Baptiste and Pierra Vernex who will be competing in the World Masters Marathon Championships in Switzerland on September 9th. Veuillez vous joindre au Comité Vitesse de RSC pour offrir nos meilleurs voeux au duo du Québec, Olivier Jean-Baptiste et Pierra Vernex, qui participeront aux Championnats du Monde Maitres du Marathons en Suisse le 9 septembre. This is a reminder that, per the attached document dated April 15, 2015, all injuries must be reported to Adam Leavens, Director of Risk Management. Adam will engage the insurance company on the injured skater’s behalf. This policy is designed to ensure that injured skaters are worked through the process in the fastest manner to get them back to full health. In addition, it is important to re-iterate that RSC’s Accident and Injury coverage is secondary–meaning that all personal/private/employment Accident and Injury coverage must be exhausted before RSC’s coverage will start. If you have any questions about coverage or how existing coverage should be used, please reach out to Adam at rscadam@gmail.com. Ceci est un rappel que, selon le document ci-joint daté du 15 avril 2015, toutes les blessures doivent être signalées à Adam Leavens, directeur de la gestion des risques. Adam engagera la compagnie d’assurance au nom du patineur blessé. Cette police est conçue pour faire en sorte que les patineurs blessés passent par le processus le plus rapidement possible afin de retrouver la santé. En outre, il est important de réitérer que la police d’assurance pour les accidents et les blessures de RSC est secondaire – ce qui veux dire que toutes couvertures d’assurance des accidents et blessures doivent être épuisées avant que la couverture d’assurance de RSC ne commence. Si vous avez des questions sur la police d’assurance ou sur la manière dont la police existante doit être utilisée, veuillez contacter Adam à l’adresse rscadam@gmail.com. In the event Canada is qualified to field participants in the roller speed skating competition at the 2019 Pan American Games in Lima, Peru, Roller Sports Canada will be responsible for selecting which athletes, coaches, and staff will take part in these Games. Si le Canada est qualifié pour participer aux compétitions de roller de vitesse aux Jeux Pan Américains de 2019 à Lima, au Pérou, Roller Sports Canada sera responsable de sélectionner les athlètes, les entraîneurs et le personnel qui participeront à ces Jeux. The 2019 Pan American Games will take place in August 2019 in Lima, Peru. In order to be allowed to compete at this competition, Nations, including Canada, are required to qualify for these games via the Pan American Championships in Monterrey, Mexico in November 2018. The first step for inclusion at the 2019 Pan American Games is qualifying via the Pan American Championships in November, 2018. This is the only competition serving to qualify nations to the 2019 Pan American Games. Nations will need to have their athletes place in the top-18 at this competition in order to qualify a maximum of 2 athletes to the 2019 Pan American Games. Once a nation is qualified to the 2019 Pan American Games, it is up to that Nation to select which athletes to compete at the 2019 Pan American Games. For all nations, the final selection of athletes must be complete by June 21st 2019. The following information is pertinent to the path to the 2018 Pan American Championships eventually leading to the 2019 Pan American Games. 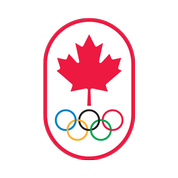 ATHLETE & STAFF LONG LIST- REQUIRED FOR ELIGIBILITY: The Canadian Olympic Committee has asked Roller Sports Canada to develop a list called a Long List. This is a secure database listing athletes and staff who have a the potential of being selected for inclusion at the 2019 Pan American Games. This list is created very early in the process of Games planning so that it can be used for different purposes, including sport entry, accreditation, security, travel arrangement, athlete agreements, anti-doping, and more. As long as Canada qualifies to field athletes at the 2019 Pan American Games via top-18 placements at the 2018 Pan American Championships this November, only those named to the Long List will be eligible for selection for the 2019 Pan America Games. If you wish to be included and named in the Long List (which means you intend to try to qualify for representing Canada at the 2019 Pan American Games), you are required to be a top level Canadian athlete who is competitive at the highest echelon of the sport in Canada (for example placing top-5 at indoor races such as the GP VRL, competitive times in the 100-meters (11 seconds and under) or 500-meters (under 50 seconds), top placements in marathons, having competed at the World Championships or Pan American Games/ Championships). ALSO anyone wishing to be a coach or manager must be part of the long list. Staff (coach, manager) will have a separate selection process by RSC to be outlined at a later date. To make sure you’re included in the long list, please complete and submit the following form by AUGUST 6TH 2018– the RSC Speed Committee has developed and maintained an internal list and submitted these names for inclusion in this Long List. This list includes top-finishers from events since 2015 as well as others who have been involved in the sport in coaching and managerial role. SELECTION TO COMPETE AT THE 2018 PAN AMERICAN CHAMPIONSHIPS: As outlined earlier, the 2018 Pan American Championships will take place in Monterrey, Mexico. This is the competition that serves as a qualifying event for Nations to field athletes at the 2019 Pan American Games. This competition will be attended by the World’s top racers from Colombia, Chile, Argentina, Mexico, USA, Ecuador, and more. This will be an extremely competitive event- as competitive as the World Championships and possibly more intense than the World Championships since some nations have developed rivalries. Roller Sports Canada is looking to make an Automatic selection- a selection without trials or a selection event- by making an evaluation of all those who express interest in competing at this event. The evaluation will consider times, placements, and performances at relevant events (including by not limited to World Championships, Canadian Championships, GP VRL) and distances (including by not limited to time trials, head-to-head 100-meters, 500-meters, 1000-meters, 10km points, elimination races). It is important to note that for the 2018 Pan American Championships, athletes and support staff who are selected will likely be required to cover the entirety of the expenses, costs, and fees (flight, transportation, food and nutrition, accommodations, equipment, etc) because funding is not available or if it is, is extremely limited. Also, those selected to the 2018 Pan American Championships are required to hold a valid Canadian passport expiring after November 2018, will be required to complete anti-doping agreement, and must be registered with Roller Sports Canada. If you wish to represent Canada at the 2018 Pan American Championships in Monterrey Mexico in November 2018, please complete and submit the following form. A representative of Roller Sports Canada’s Speed Committee will be in contact with you to confirm your intent, complete evaluation of performances and results, and provide additional event information as it becomes available to RSC’s Speed Committee. Les Jeux Pan Américains 2019 auront lieu en août 2019 à Lima, au Pérou. Pour être autorisés a participer dans cette compétition, les nations, y compris le Canada, doivent se qualifier pour ces jeux via les Championnats Pan Américains à Monterrey, au Mexique en Novembre 2018. La première étape pour être inclu aux Jeux Pan Américains 2019 est que les nations se qualifient via le Championnats Pan Américains en Novembre 2018. C’est la seule compétition qui servira à qualifier les nations aux Jeux Pan Américains de 2019. Les Nations auront besoin d’avoir leurs athlètes se classer dans les permiers 18 finissants à cette compétition afin de se qualifier un maximum de 2 athlètes aux Jeux Pan Américains de 2019. Une fois qu’une nation est qualifiée pour les Jeux Pan Américains de 2019, cette nation décidera comment sélectionner les athlètes qui la représenteront aux Jeux Pan Américaine. Pour toutes les nations, la sélection finale des athlètes doit être complétée par le 21 juin 2019. L’information suivante est pertinente pour les Championnats Pan Américains de 2018 qui mène aux Jeux Pan Américains de 2019. LA LISTE (LISTE LONGUE) D’ATHLÈTE ET DE PERSONNEL- REQUISE POUR L’ÉLIGIBILITÉ: Le Comité Olympique Canadien a demandé à Roller Sports Canada de créer une liste appelée la liste longue. C’est une liste (sécurisée) des athlètes et de personnel qui ont le potentiel d’être sélectionnés pour participer aux Jeux Pan Américains de 2019. Cette liste est crée très tôt dans le processus de planification des Jeux afin qu’elle puisse être utilisé à des fins différentes, y compris les inscriptions pour le sport, l’accréditation, la sécurité, l’arrangement de voyage, les accords d’athlète et d’anti-dopage, et plus encore. Seuls ceux qui sont nommés sur la liste longue auront l’autaurization de représenter le Canada aux Jeux Pan Américains de 2019, pourvu que le Canada soit qualifié après les Championnats Pan Américains. Vous devez être un athlète canadien de haut niveau qui est compétitif au plus haut niveau du Canada et au niveau international (par exemple en se classant parmi les 5 premiers aux courses intérieures comme le GP VRL, les compétitions au 100 mètres (11 secondes et moins) ou 500 mètres (moins de 50 secondes), les meilleurs placements en marathons. Le personnel (entraîneur, gérants) fera l’objet d’un processus de sélection séparéa par le comité vitesse de RSC. Pour être sur qui vous êtes nommés sur la liste longue (si vous voulez), svp complétez le formulaire suivant. SVP complétez et soumettez ce formulaire avant le 6 août 2018– notez que le comité vitesse de RSC a déjà dévelopé une liste qui nomme des canadienx qui ont le potentiel de participer aux Jeux Pan Américains. Cette liste est basée sur les résultats depuis 2015 et aussi basée sur ceux qui sont impliqués dans le sport depuis 2015 (comme entraineurs, gérants…). SÉLECTION POUR PATICIPAER AUX CHAMPIONNATS PAN AMERICAN 2018: Les Championnats Pan Américains 2018 aura lieu à Monterrey, au Mexique C’est la compétition qui sert comme événement de qualifier les Nations au aux Jeux Pan Américains de 2019. Cette compétition vera les meilleurs courseurs du monde (de la Colombie, le Chili, l’Argentine, le Mexique, les États-Unis, l’Équateur et plus). Ce sera un event extrêmement compétitif- aussi compétitif que les Championnats du monde, et peut-être plus intense que les Championnats du monde encore- puisque certaines Nations ont développé des rivalités. Roller Sports Canada tente de faire une sélection automatique- ce qui veux dire une sélection sans essais et sans course de sélection. L’évaluation de ceux qui veulent représenter le Canada tiendra en compte les résultats, les temps, et les performances aux en compétition (y compris et pas limité aux Championnats du Monde, les Championnats Canadiens, le GP VRL), et les distances (y compris et pas limité pas aux courses contre-la-montre, 100 mètres en tête-à-tête, 500 mètres, 1000 mètres, 10 km à points, courses d’élimination). Il est important de noter que pour les Championnats Pan Américains, les athlètes et le personnel de soutien qui sont sélectionnés devront surement et probablement payer eux-mêmes l’ensemble des dépenses, des coûts et des frais (vol, le transport, la nourriture, l’hébergement, l’équipement, etc.) car que le financement n’est pas disponible ou s’il l’est, est extrêmement limité. Ceux sélectionnés pour les Championnats Pan Américains 2018 sont tenus de détenir un passeport Canadien valide qui expire après Novembre 2018, et il sera nécessaire de compléter l’accord antidopage, et d’être inscrit avec Roller Sports Canada. Un représentant du comité vitesse de Roller Sports Canada sera en contact avec vous pour confirmer votre intention, de compléter l’évaluation des performances et des résultats, et de fournire des informations supplémentaires sur les événements au fur et à mesure qu’elles deviennent disponibles au le comité de vitesse de RSC.